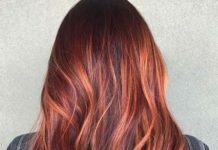 With sunny weather coming soon, one might be seriously tempted to play with their hair color to celebrate brighter and warmer days, birdsong, and flowers. We know we are. And why not? 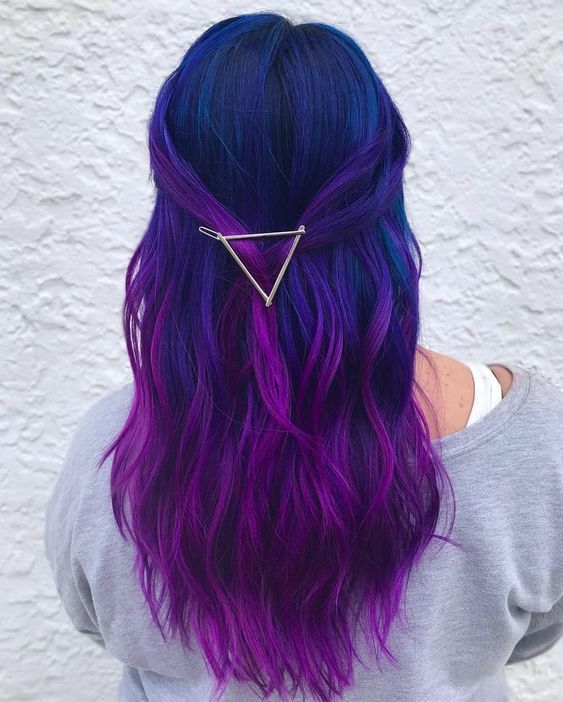 Having fun and eye-catching hair is always A-plus in our book. 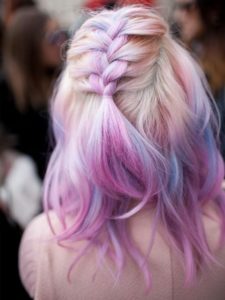 And with festival season coming up, you have all the more reason to dye your hair all the colors of the rainbow. And that is why we came up with a fun list of blue and purple hair color ideas for you guys. 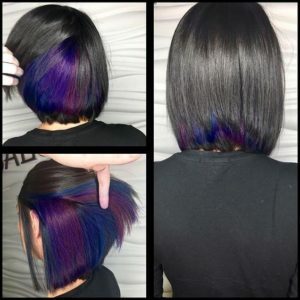 Why blue and purple? Well, why not? Read on! Look at this beauty! 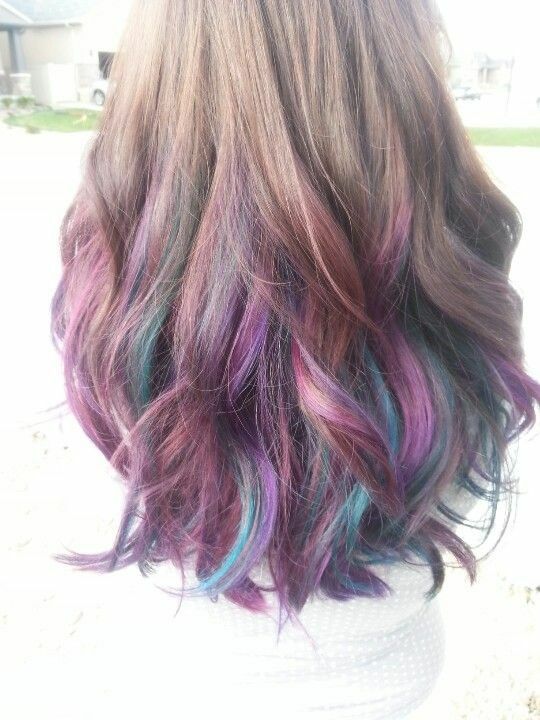 It is spunky and quite eye-catching. 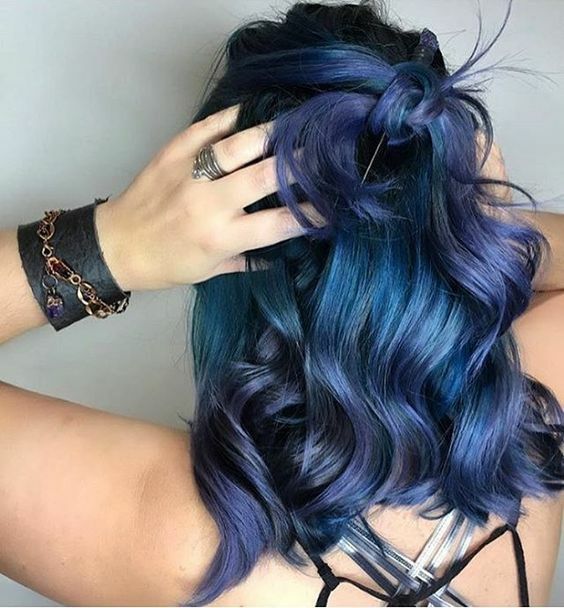 We are loving the transition from the vivid purple to steel blue. This looks so much like the famous Northern Lights observed in the Northern Hemisphere that we named it such! The big secret as to why it looks so good is because the model’s hair is both healthy and well-cared for. It might not have the same effect if the hair was frizzy. Do you know what this reminds us of? 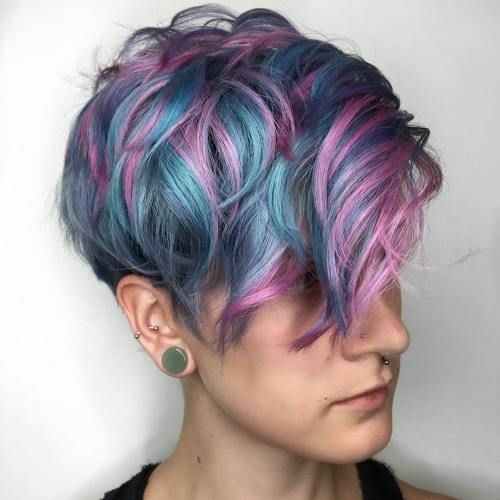 Cotton candy. Cotton candy in carnivals and state fairs. Isn’t it just lovely? 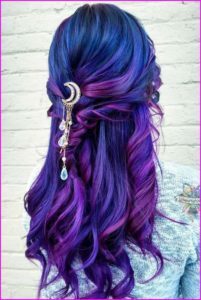 The beauty of it is that it can be styled in many different ways, but the colors would still be quite eye-catching. This may look more subtle in comparison to the previous photos, but it is by no means less attractive. The colors are so vibrant and the hints of grey is a really nice touch, making the look cooler than it already is. 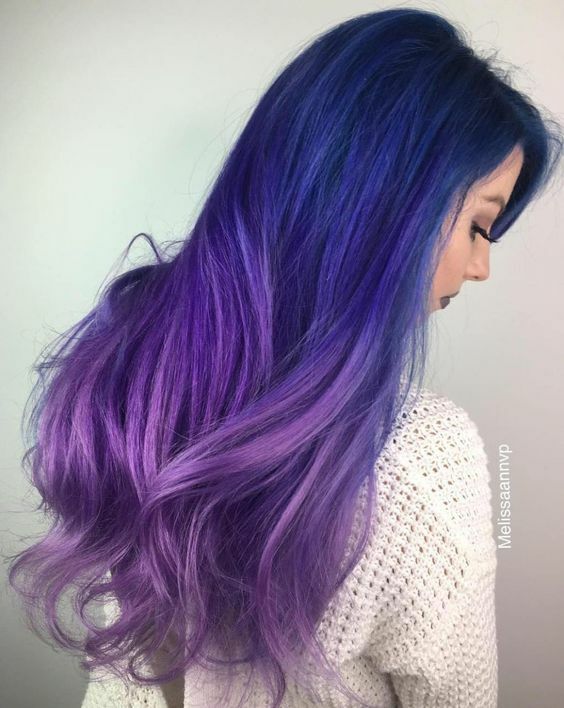 Here is a wonderful blue-purple balayage that really makes the colors stand out. 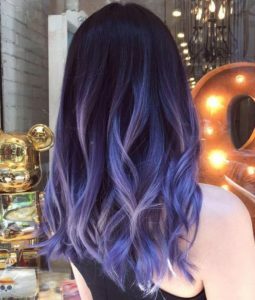 One great thing about this is if you have dark or black hair, you can even let it grow out, thus giving you a three-color balayage. 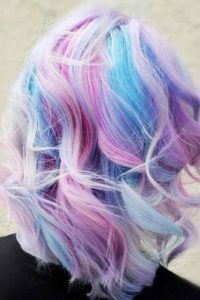 This is kind of cute when you are considering hair coloring at home. It is quite easy, but you have to make sure that you have the right products, otherwise, you might just end up wasting your time and possibly ruining your hair. 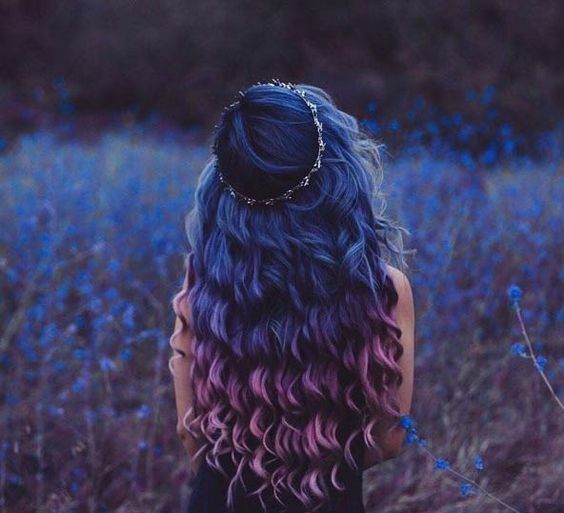 In this case, all of her hair is dyed in a vibrant blue, and then artfully highlighted with purple streaks. It is very pretty. 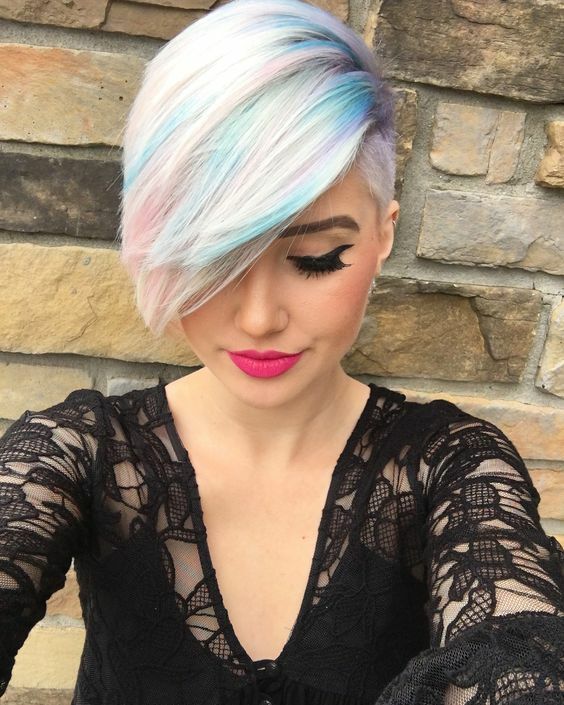 The pastel colors in this style are so pretty and look incredibly gentle and feminine. It also helps that the model has very long hair, thus the colors can really have their space to shine, but it could work with short hair just as well. This hair looks really amazing. It’s a wonderful combination of pastel blue and pastel purple and the effect is extremely attractive. 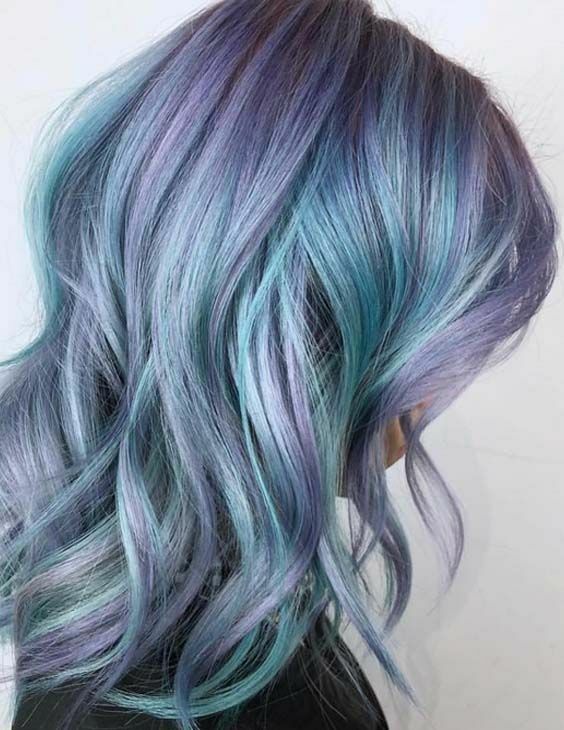 This color is the perfect summer hair! 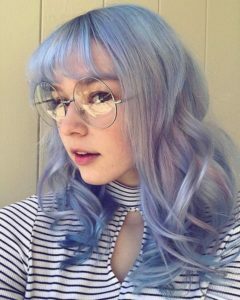 This really cute hair color is really subtle and not too overpowering. 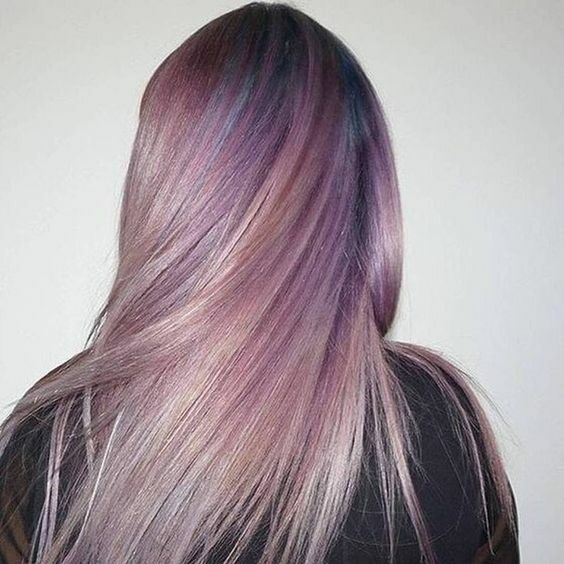 If you are looking for something gentle, this might just be the hair color for you. However, the color might not last very long as it is only applied to the ends. 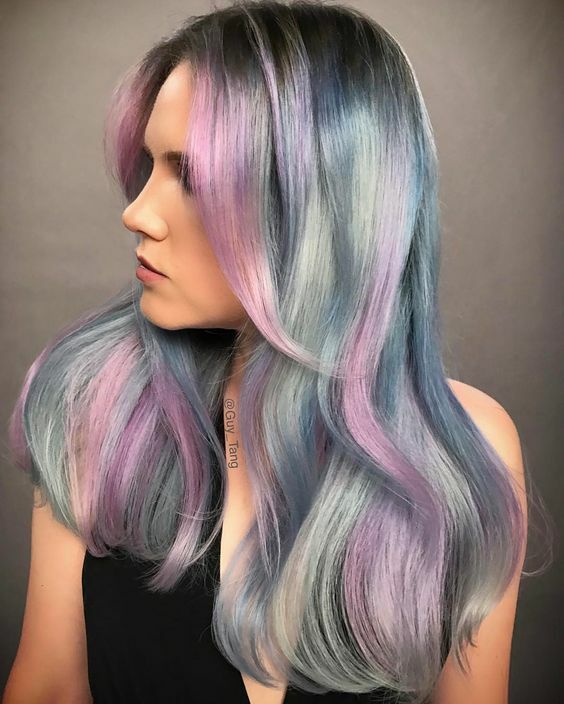 This wonderful hair color looks just like the sky when the sun just about set and the colors are slowly seeping into each other as the night comes. 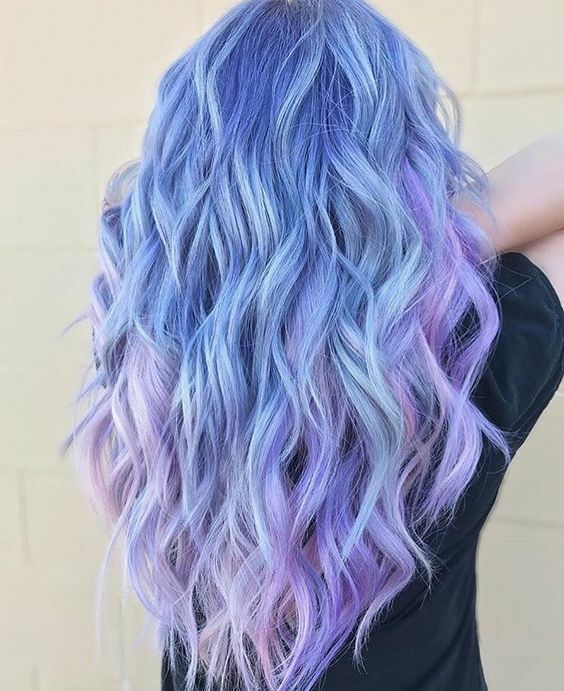 This is almost an ethereal combination of lavender and blue-purple and will suit both dark and light hair. 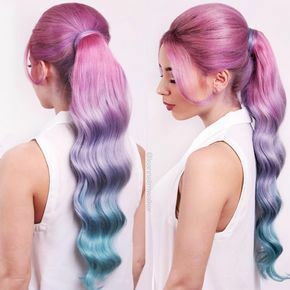 A very pretty gradient that is very suitable for those with dark hair. 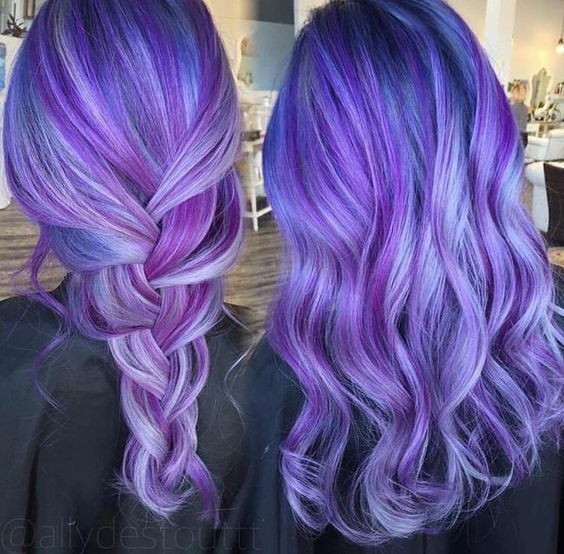 The effect is mesmerizing because the transition from dark to purple to gray is seamless. Two thumbs up! This version is almost invisible if you do not look at it intently. It is extremely subtle and just perfect for people who would like a bit of change, but not too much. 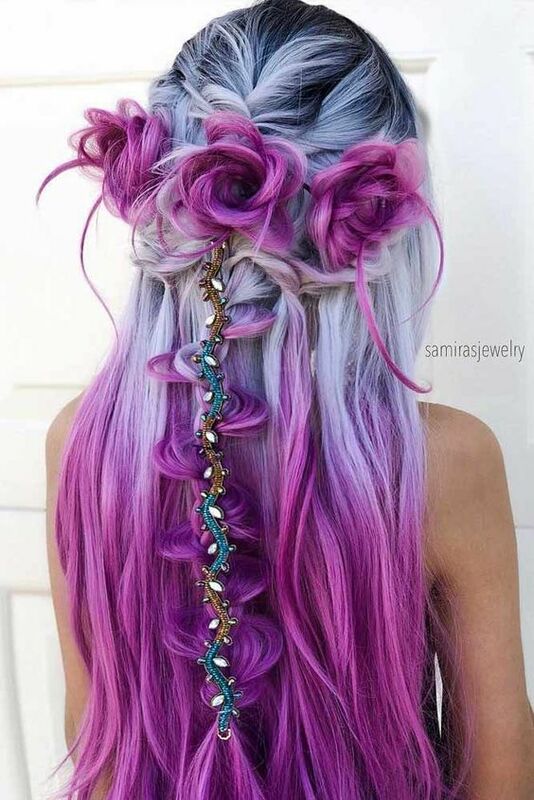 We love the subtlety of this look! 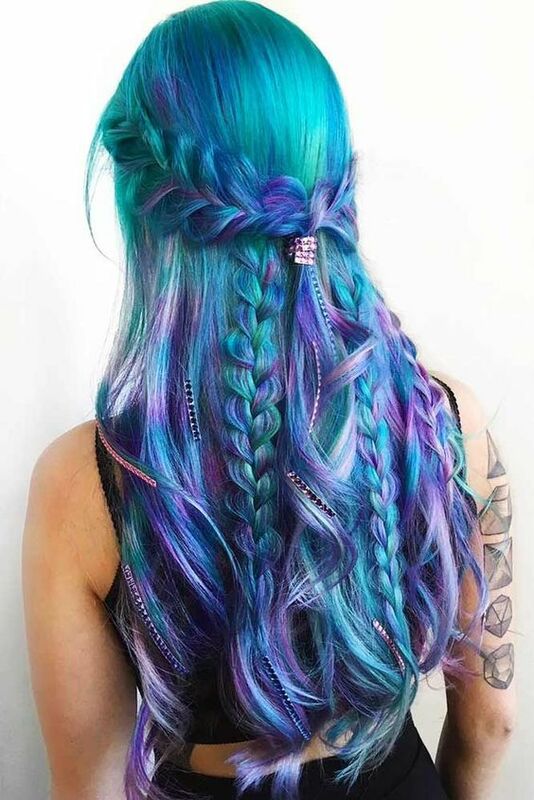 This look is quite mesmerizing, almost like staring at a waterfall. 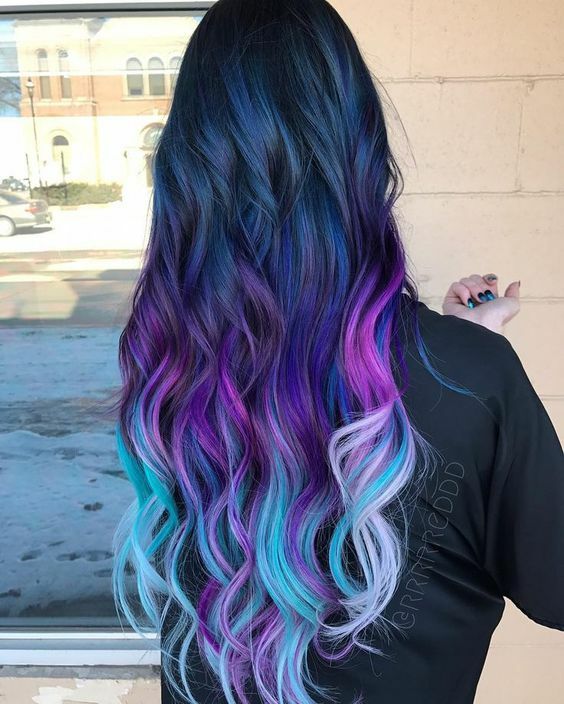 The blending of the colors is amazing. 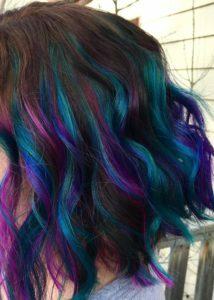 With this look, gently curling your hair would make the colors stand out more, as compared to having it ironed straight. This color combination is extremely cool – blue-purple steel. It’s almost like an underwater scene with all these colors. 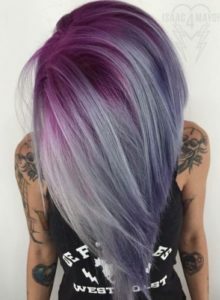 Since the hair color is leaning more into the cooler spectrum, this hair color would suit people with cooler undertones as well. We have said it before, and we are saying it again: we really don’t think grey hair will ever go away. Here, the grey hair is taken into another level by incorporating blue and purple colors into it, making it more modern and extra fun. 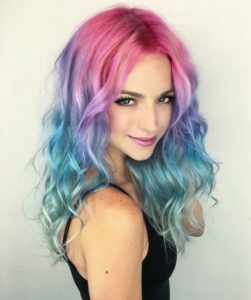 When aiming for this effect, make sure you go to a known colorist that has proven his/her talent in the craft so that you get the maximum effect. 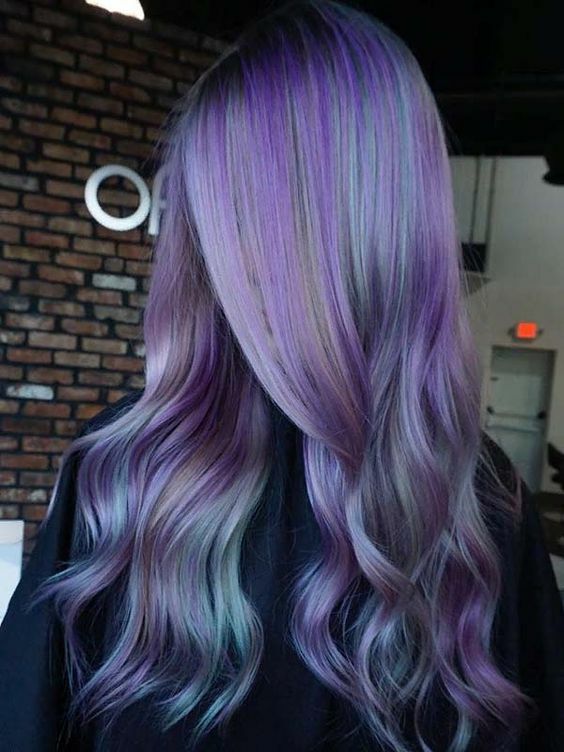 This hair color is evidence of how talented the colorist is. 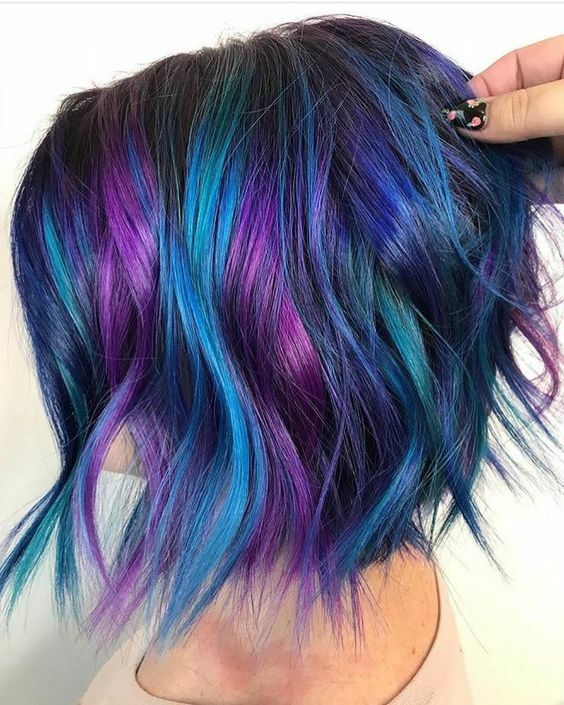 For those of you going for the surprise effect, this is a really good option. 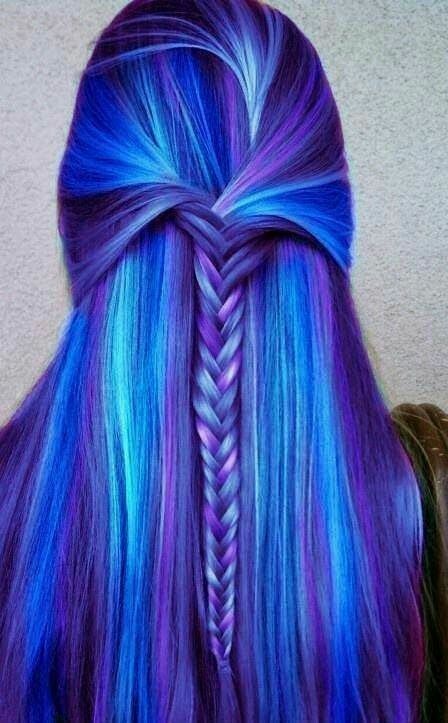 The vibrant colors of the hair are well hidden, and will only be visible if you choose it to be. Much like the picture with the hair painting, these highlights are quite something. 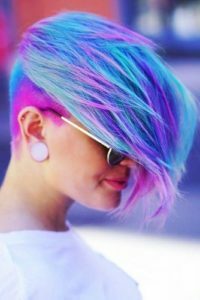 If you do not want a whole head of colorful hair, this is a wonderful alternative. This is quite a cool combination that will surely get the attention of everyone around you. 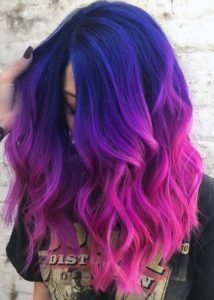 The strength of the pink makes it also suitable for people with warm undertones. As with everything that is related to hair color, we should make sure that the color tones that we choose compliment our natural skin tone. 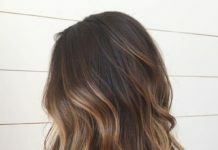 This makes for a more flattering look as some tones can be too overpowering, and others are just downright unflattering. If you have set your heart on a certain color scheme and style but unsure which tone will suit you best, always consult with your colorist. They are learned professionals who have studied the craft, and will most certainly not let you out of their salon looking like a hot mess. You are, after all, a walking advertisement for their business. 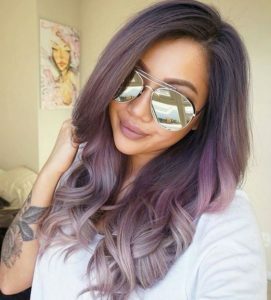 Moreover, the beauty of the hair color is also greatly dependent on how you style and care for your hair. 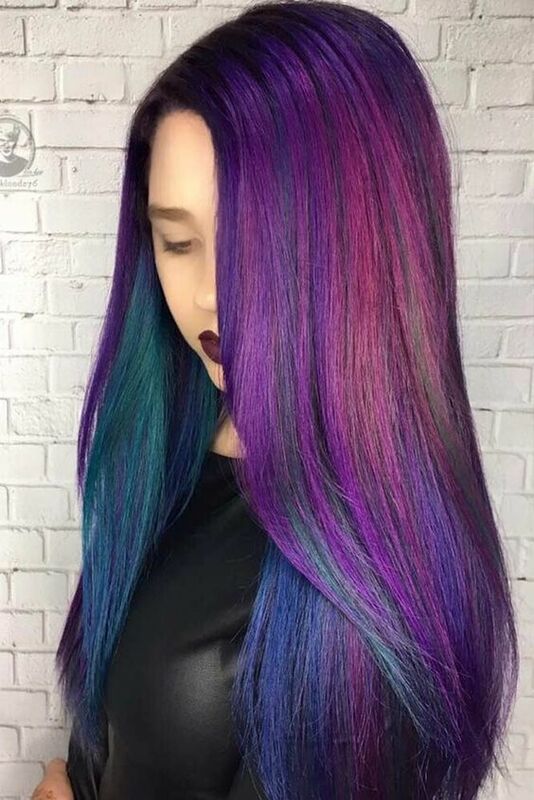 A well-maintained mane is essential to make the colors stand out. 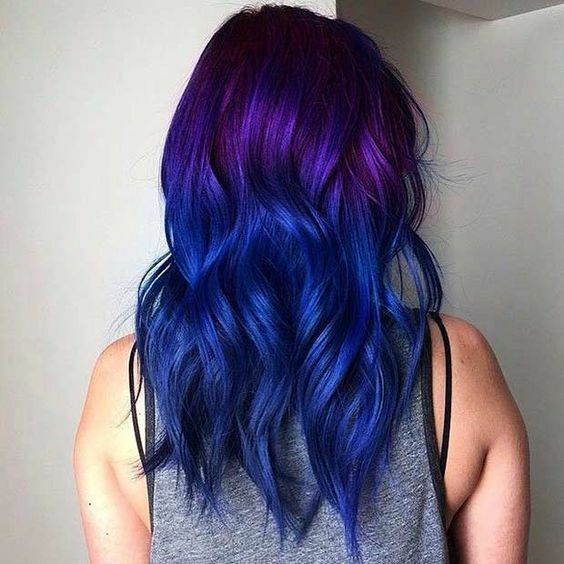 And speaking of maintenance, with these colors that are far from anybody’s natural color, it would take a bit of work to sustain the vibrancy and the consistency of the colors. It is greatly recommended to use sulfate-free products, like shampoo and conditioners. It is also advised to not use warm water when washing hair, and not wash hair often, as this can easily strip the color off your hair. On top of that, daily washing can also strip your hair of its natural oils, thus resulting in dry and frizzy hair. 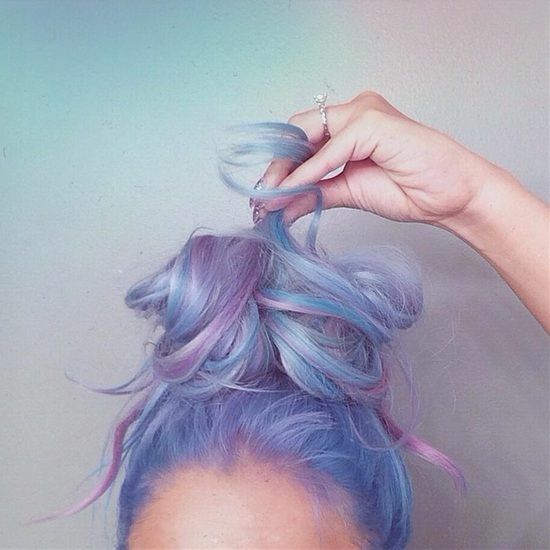 In days where you don’t wash your hair, dry shampoo can be used as a substitute.